In all my years of association with Atal Behari Vajpayeeji, I don’t remember him ever chastising anybody. I don’t even recall him being upset, because he was the kind of person who never wanted to inflict hurt. He would make his point of view heard with a sense of humour that could sweeten even the most poisonous barb. That was his style. Once, during a public meeting in Patna, he jumped the queue to speak first, for he had a flight to catch. Suddenly, Shatrughan Sinha arrived at the venue. A very popular actor at the time, Sinha’s arrival made the crowd, especially the young, go crazy. Sinha was enjoying the adulation, moving to and fro on the stage. Now, Vajpayeeji could have been upset by the interruption, but said instead: “If he is Bihari Babu then I am Atal Bihari.” The crowd swayed to Vajpayee’s tune now. That’s the kind of magician he was; who could mould crowds the way he wan­ted, and we all saw magic unfold in Parliament and outside. It is a great, great pity that he is no more and equally sorrowful that the gains he helped make in Kashmir have been squandered. When I resumed dialogue with the people of Kashmir in October 2016, right after the events following Burhan Wani’s death, I found not a single door that was not open for me and my delegation. 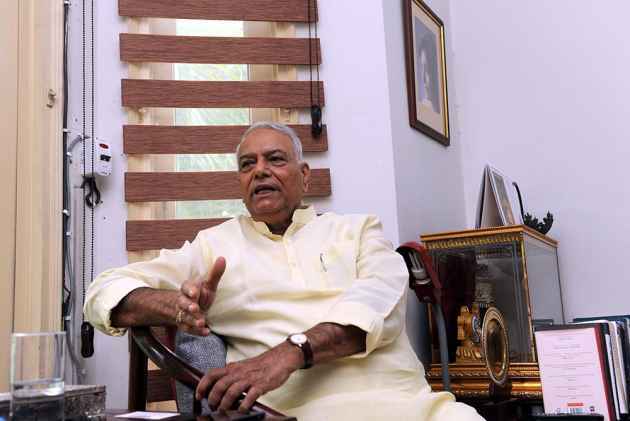 I realised that they did it not because I had been a minister in the Union cabinet, but bec­ause Vajpayee had been the most popular lea­der and prime minister in Kashmir and I had been in that cabinet. On the Agra summit, Mr (L.K.) Advani says in his book that he, (former defence minister) Jaswant Singh and Vajpayee were having lunch when such a summit was proposed; and that Vajpay­eeji accepted and Musharraf was invited to India. I personally feel that summit-level meetings should be done with a great deal of preparation. The Agra summit was organ­ised in a hurry and so it could not succeed.